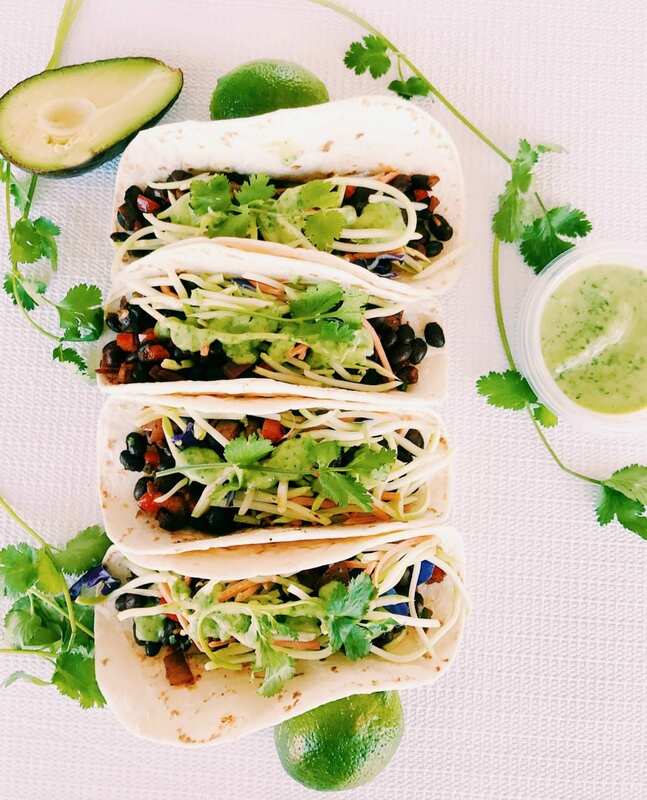 These Black Bean Tacos with Avocado Cilantro Lime Sauce are bursting with flavor and a definite crowd pleaser. Serve these babies up for Meatless Monday and you’ll have your family begging for more! My boys (18 and 14) have been vegetarians for over two years now. It started out as a week-long experiment that they ended up embracing whole-heartedly. Now, I’m going to be honest about their decision here. It threw me for a loop! I’m a born and raised Texan who believed it’s the gospel to eat meat with every dinner. Except for breakfast nights. Oh, wait, bacon. So yes, meat with every meal! I found myself really struggling with what to fix for dinner. I had zero ideas about what vegetarians ate. Do I throw broccoli on a plate and call it good? Maybe throw in some mushrooms for good measure?! Well, fast forward to today and I’m happy to say that not only can I fix a mean vegetarian dinner, but because of my boys, we mostly eat plant-based meals now. And I feel amazing! We also have cut out quite a bit of dairy. We started with milk, and I soon found out some of my absolute favorite sauces have milk (or cream) as one of the main ingredients. Fantastic. But, after some research and trial and error practices, I’ve managed to make some of our favorite things dairy free. Like this Avocado Cilantro Lime Sauce, I can’t wait to tell you about. I also can’t wait for you to make it yourself and try it! I used So Delicious Dairy Free Organic Almondmilk which is available at the happiest (and most fabulous) place on earth. You know what I’m talking about – TARGET! 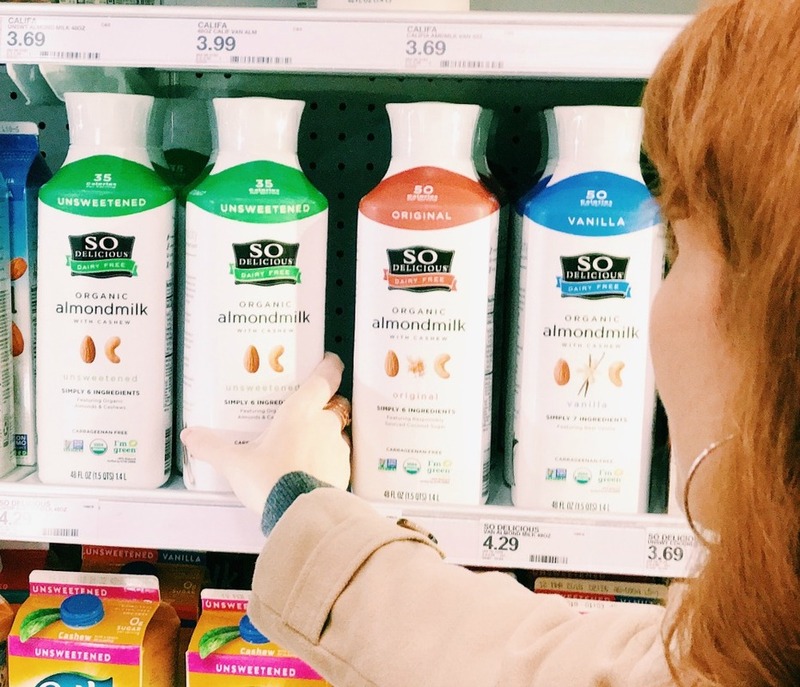 Get your shopping list ready, see if So Delicious Dairy Free is available at your local Target and load up your 20% off Cartwheel coupon (available 2/18 to 3/17) and let’s go! This sauce is incredibly easy to make and includes ingredients you can feel good about feeding your family. 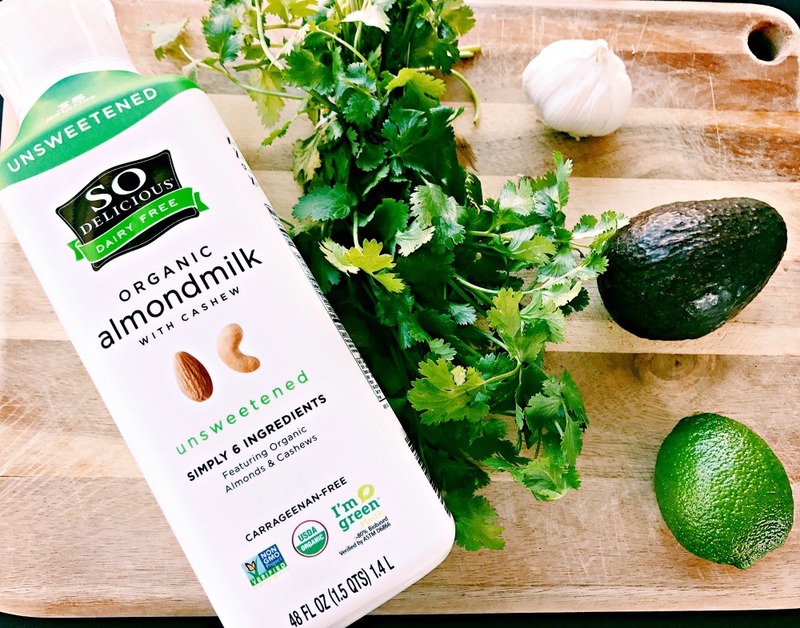 So Delicious Dairy Free Organic Almondmilk – This clean and simple almondmilk only has 5-8 ingredients, and the bottle is plant-based too! Just place all of these ingredients in your blender or food processor and whip it up. In a few seconds, you’ll have a beautiful green sauce worthy of topping the best tacos you can create. Now, if going dairy-free feels incredibly overwhelming (and believe me, I know what that feels like), just start small. 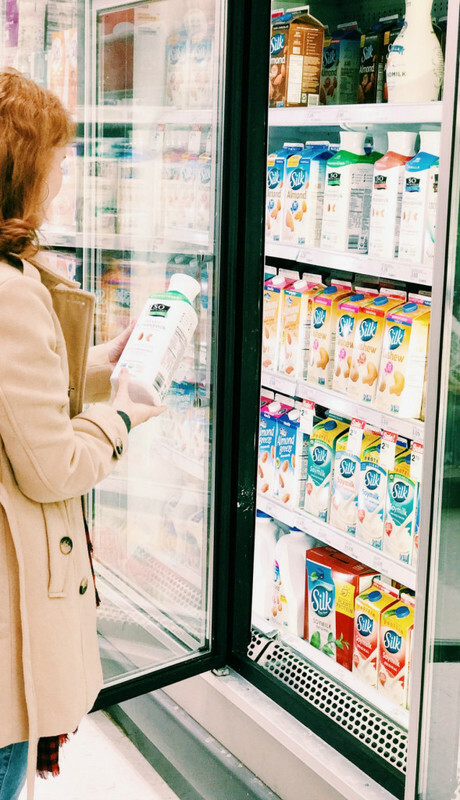 For us, it started with replacing our milk with almondmilk and now that’s all you’ll find in our refrigerator. I don’t even think about buying milk anymore because buying almondmilk and using it in my recipes has become a habit. 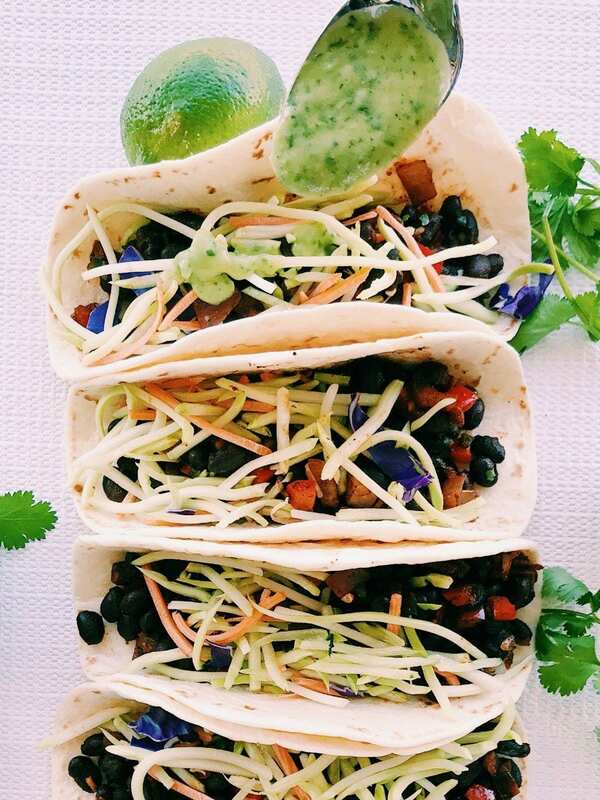 If you can chop an onion, a bell pepper, a jalapeno and open a can of black beans then congratulations! 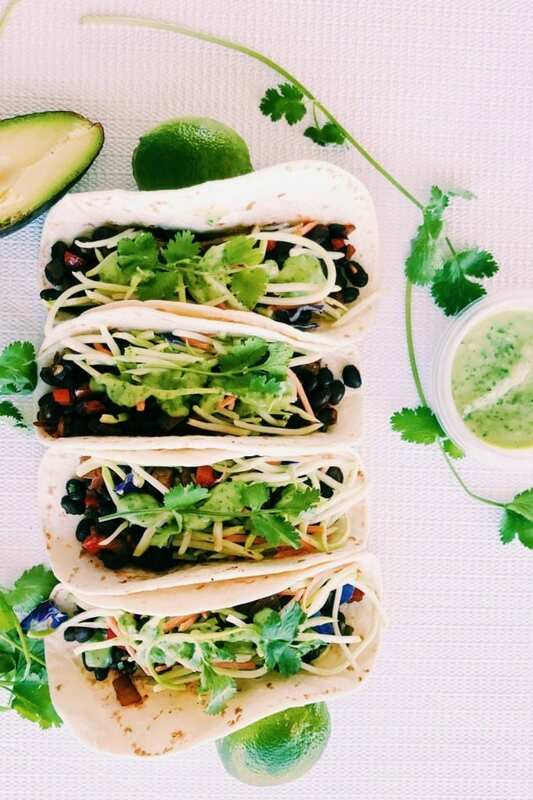 That means you can make these Black Bean Tacos. They are super simple, which is how I roll in life these days. I make this black bean concoction several times a month and we eat it as a taco filling, in a rice bowl, and with tortilla chips. My boys are always asking me to make it and it’s become a meal staple in our home. Heat up the olive oil in a skillet and cook the red onion and red bell pepper until soft, about 3 to 4 minutes. Add the diced jalapeno and cook for another minute. Add the chili powder, salt, minced onion, garlic powder and cumin to the skillet. Mix it with the onion, pepper, jalapeno concoction and cook for 1 minute. Add the two cans of drained and rinsed black beans. Cook for 2 to 3 minutes, until beans are heated through. Is this a recipe you think your family would enjoy? I hope so! You can get your printable version of the recipe below. 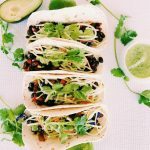 These Black Bean Tacos with Avocado Cilantro Lime Sauce are bursting with flavor and a definite crowd pleaser. Serve these babies up for Meatless Monday and you'll have your family begging for more! Just place all of these ingredients in your blender or food processor and whip it up. 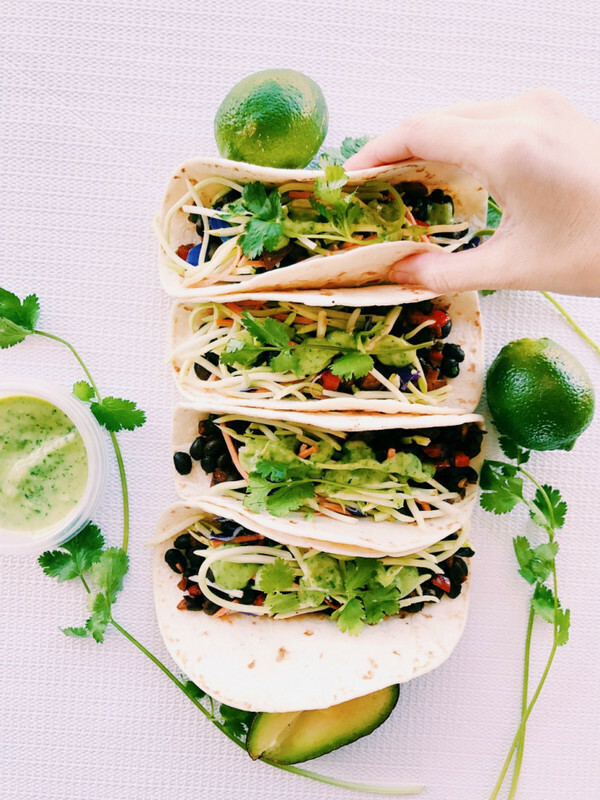 In a few seconds, you'll have a beautiful green sauce worthy of topping the best tacos you can create. These look so good! I’m a sucker for tacos! 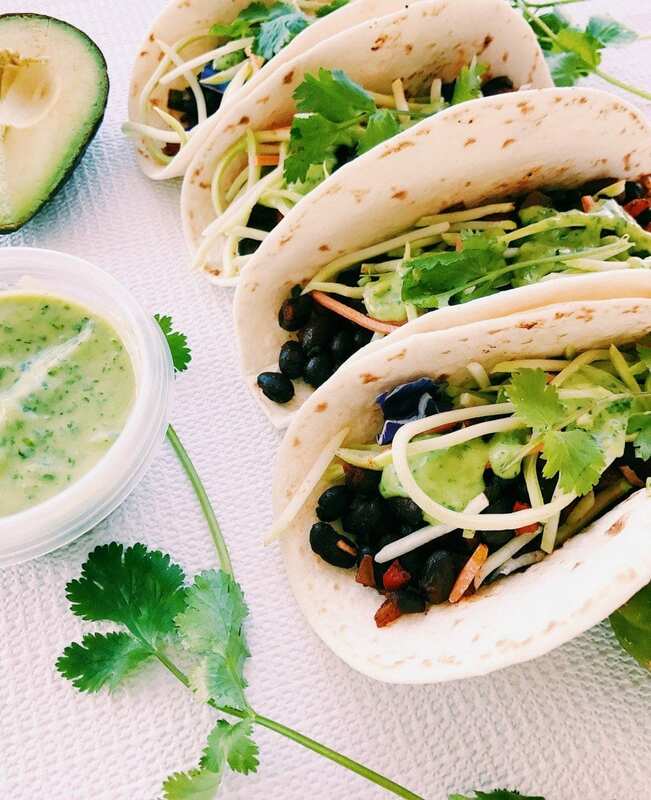 I have never met a taco I didn’t love and these look + sound fantastic! The lime sauce sounds amazing! Love the dairy free option! I’m not much on beans but this looks like something I would try! These seriously look soooo good!